Aubrey Dunn Jr. is a rancher from New Mexico. 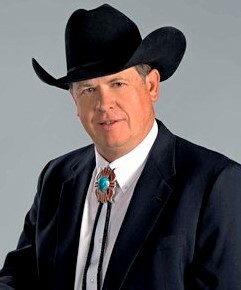 He is the current Public Lands Commissioner of New Mexico, elected in 2014. On January 27 2018, Dunn switched from the Republican Party to the Libertarian Party. On January 29 2018, Dunn announced his candidacy for the US Senate, seeking the Libertarian Party nomination. Dunn secured the nomination on June 5, 2018. This page was last edited on 31 July 2018, at 01:00.